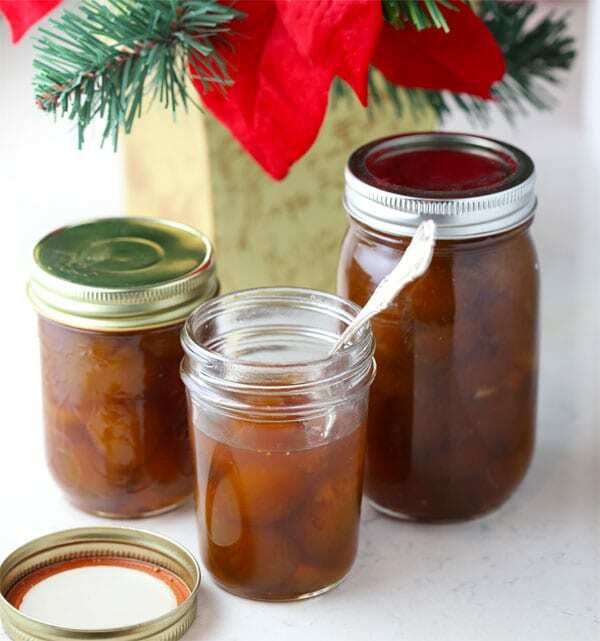 Old Fashioned Southern Style Fig Preserves is a recipe post by Mom Loves Baking. My uncle Larry gave me two jars of his homemade Old Fashioned Southern Style Fig Preserves for Christmas and I couldn’t have been more excited. You can’t buy it in the store. And he even grew the figs himself! Fig preserves remind me of my grandmother. 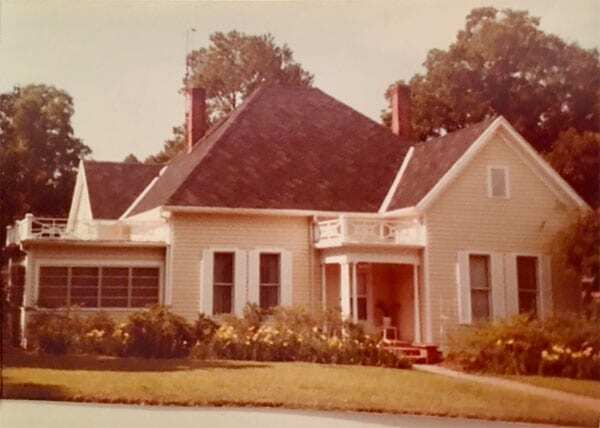 As a kid, every time I went to her house (in Ozark, Alabama), she would have fig preserves in her refrigerator which we would spread over toast for breakfast. They were always made by my aunt Corinne who lived across the street. Aunt Corinne made them every single year and they were always so delicious. She made them with whole figs which came from my grandparents fig tree in their backyard. 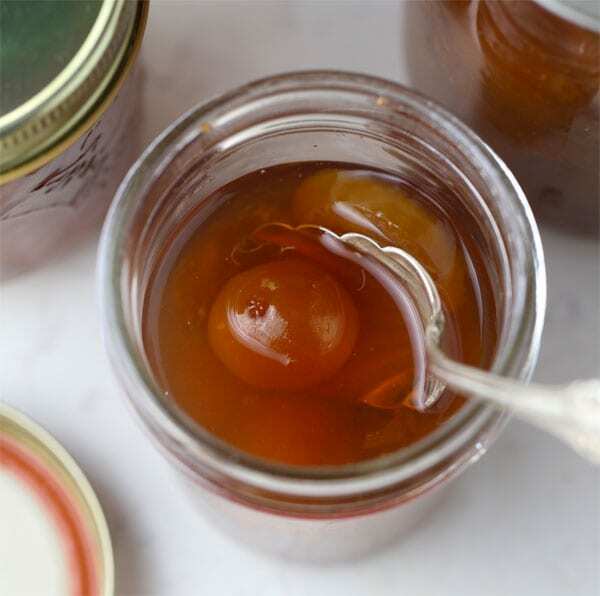 What’s unique about these fig preserves is that it uses WHOLE figs. They are not mashed up or pureed like jam. But in the cooking process, they get really soft and are completely spreadable. When serving, you just spoon a few figs onto your buttered toast and spread them around with your knife. It’s very easy to spread and tastes SO good! My grandparents passed away in the late 1980s and then aunt Corinne in the mid 1990s (she was 92). I miss them a lot. 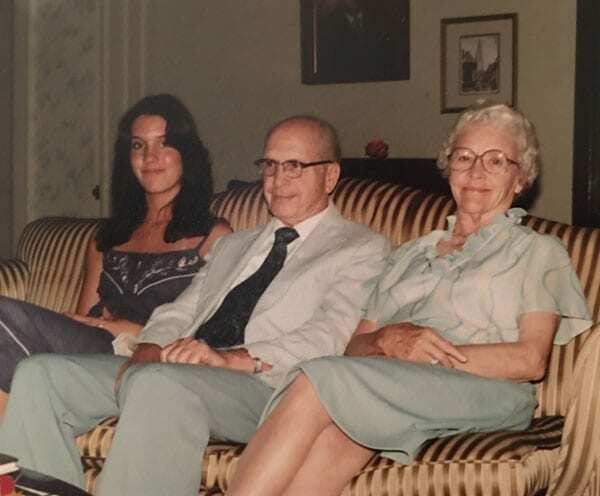 Here I am with my grandparents when I was in high school. They were the sweetest people! 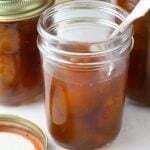 That’s why it was so special that my uncle Larry took the time to make his own homemade Old Fashioned Southern Style Fig Preserves and share some with me. I got to have my morning toast with those wonderful fig preserves every day from Christmas to New Years! And what sweet memories they brought! 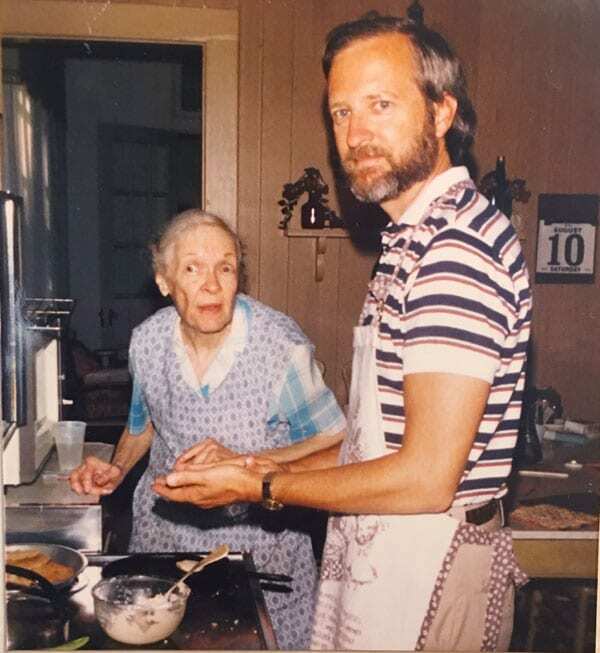 Here’s Aunt Corinne and Uncle Larry in her kitchen back in the 1980s. I wonder what they were making that day. Looks like hoe cakes. But that’s another blog post. Stay tuned. 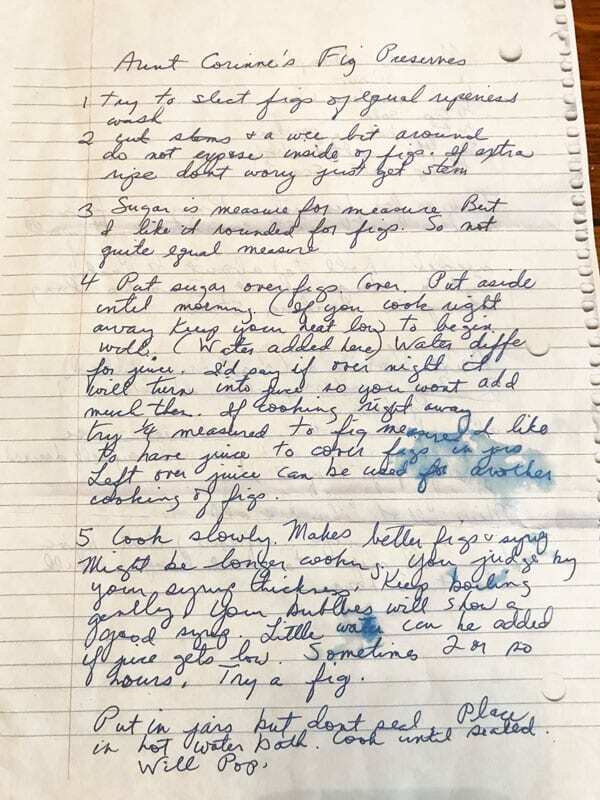 I actually have a copy of aunt Corinne’s vintage recipe which I’m including in this post (see photo below). It’s a little hard to read so I typed it out below (simply adding the basic ingredients at the top, plus lemon slices which Larry added). My Uncle Larry is not only a talented maker of fig preserves, he is also an accomplished author, publisher and the best storyteller I know! I always look forward to his entertaining stories when I’m lucky enough to see him. He’s in Mississippi and we are in Georgia. Scroll down to see his bio. An heirloom recipe handed down from my great aunt Corinne from Ozark, AL (1905-1997). Try to select figs of equal ripeness. Wash.
Cut stems a wee bit around, do not expose inside of figs. If extra ripe, don’t worry, just get stem. Sugar is measure for measure but I like it rounded for figs. So not quite equal measure. Put sugar over figs. Cover. Put aside until morning. (If you cook right away keep your heat low to begin with.) (Water added here.) Water different for juice. I’d say if over night, it will turn into juice so you won’t add much then. If cooking right away, try 1/4 measured to fig measure. I like to have juice to cover figs in jars. Left over juice can be used for another cooking of figs. Cook slowly. Makes better figs & syrup. Might be longer cooking. You judge by your syrup thickness. Keep boiling gently. Your bubbles will show a good syrup. Little water can be added if juice gets low. Sometimes 2 or so hours. Try a fig. Put in jars but don’t seal. Place in hot water bath. Cook until sealed. Will Pop. Uncle Larry suggests cooking them on low for one and a half hours. 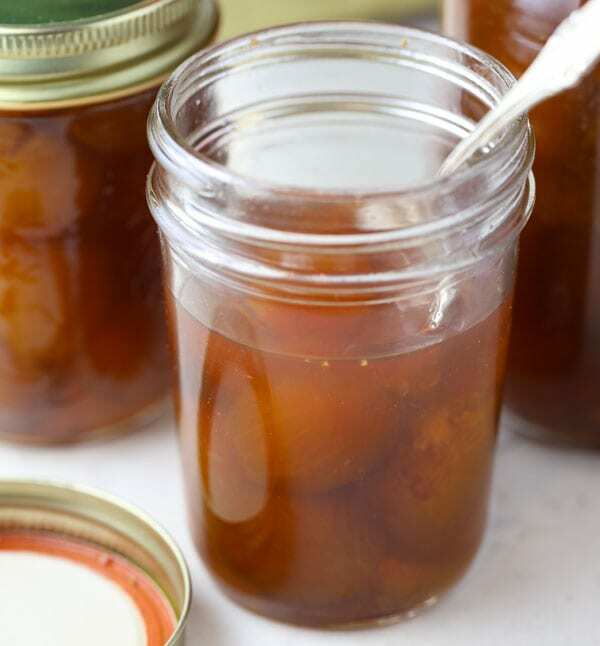 He says: My average yield from one fig tree is two gallons of figs which makes about 20 (8-oz) jars of preserves. Larry also used another recipe for reference called Old Fashioned Fig Preserves by the Bayou Woman. Lawrence Wells is a co-founder and publisher of Yoknapatawpha Press, an independent press since 1976 in Oxford, MS. His first project there was to edit a photo-biography William Faullkner: The Cofield Collection, which the New York Times named one of the top 10 gift books of 1978. He is co-founder and publisher of The Faulkner Newletter and co-founder of the “Faux Faulkner” parody contest. Wells was awarded the 2014 Faulkner-Wisdom prize for narrative non-fiction at the Words and Music Festival in New Orleans. In 1994 he wrote an Emmy-winning PBS documentary “Return to the River.” He has contributed articles to American Way, Southwest Spirit, Art and Antiques and the New York Times Syndicate. He also is the author of two novels, Rommel and the Rebel and Let the Band Play Dixie. 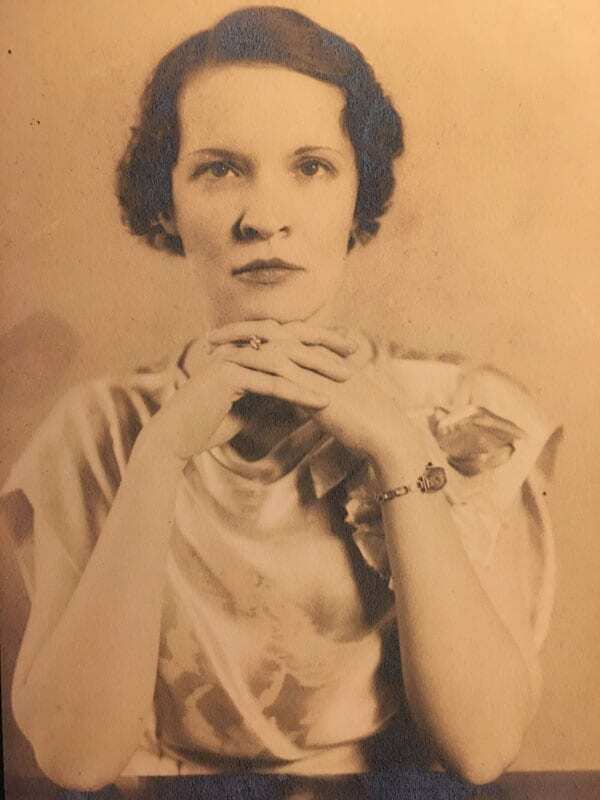 A young and beautiful Aunt Corinne. My grandparents’ house in Ozark, AL with a fig tree in the backyard. If you like this recipe for Old Fashioned Southern Style Fig Preserves, use the image below to pin on Pinterest.